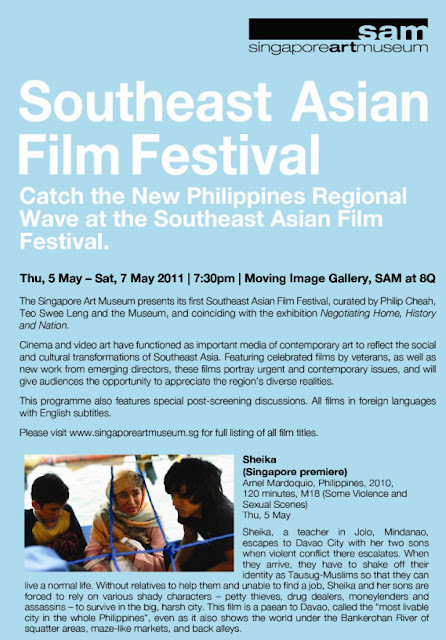 ﻿If your schedule permits, do try and catch the Philippines Regional Wave at the Southeast Asian Film Festival. hi there. excited to find a fellow filipina blogger mom on the web — as well as posts on featured filipino work in singapore. sorry to miss this film fest though. the selections look interesting, but particularly biased towards the south of pinas. cheers!